"If there be any truer measure of a man than by what he does it must be by what he gives." 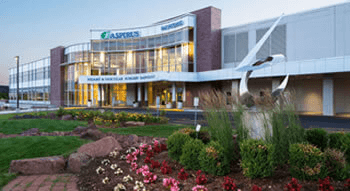 The Aspirus Iron Area Health Foundation appreciates those who support our service to this region and recognize each gift made at both an annual and cumulative basis. Aspiring Care: Gifts up to $99 - Made on an annual basis. Aspiring Compassion: Gifts of $100 - $999 - Made on an annual basis. Aspiring Hope: Gifts of $1,000 - $9,999 - Cumulative. Aspiring Innovation: Gifts of $10,000 - $24,999 - Cumulative. Aspiring Solutions: Gifts of $25,000 - $99,999 - Cumulative. Aspiring Excellence: Gifts of $100,000 and over - Cumulative. Aspiring Benefactor: Planned Gifts are recognized at this level. When cumulative donations or a one-time donation has reached $1,000 or more, donors will be listed permanently on the donor wall in the lobby of the hospital.